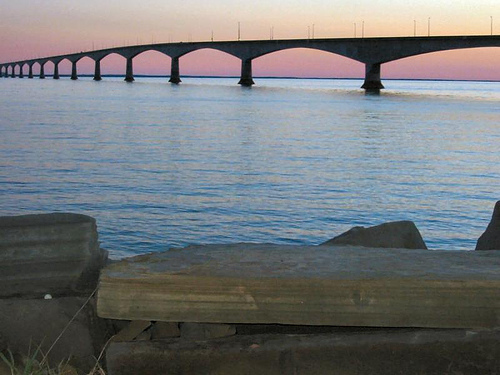 PEI is connected to the mainland via the Confederation Bridge, so you can drive your way to the Island. You could also make your way around to Nova Scotia and take your vehicle across on the ferry. Either way, there is no charge to arrive on the island - you only pay when you leave. If you're planning to drive over, consider rolling your travel and accommodations into one and renting an RV; it's a great way to see the Island before and after the conference, and you are welcome to park in a lot on the campus of UPEI. You could choose to sit back and let some one else do the driving. Buses and shuttle services are available directly from Moncton, NB and Halifax, NS. The train will get you as far as Moncton, where you can take a bus or shuttle the rest of the way. You could even cruise here if you are so inclined! If you're coming from away and want the fastest route, you can always come by air. Charlottetown hosts a local airport (YYG) with daily flights from several major Canadian and US cities. Even in the summer months these small flights can experience weather delays, so you might also consider the larger and more frequent flights available to the nearby cities of Moncton (YQM) or Halifax (YHZ), where you can rent a car or take a bus or shuttle to finish off your trip.